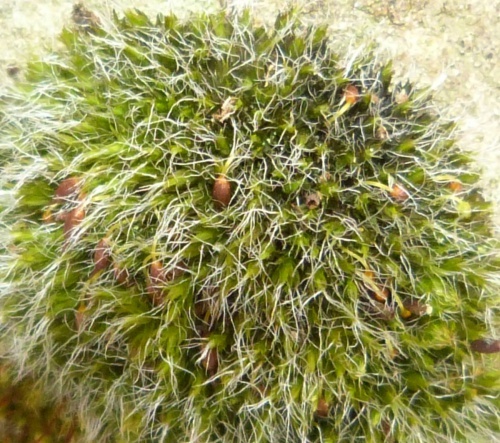 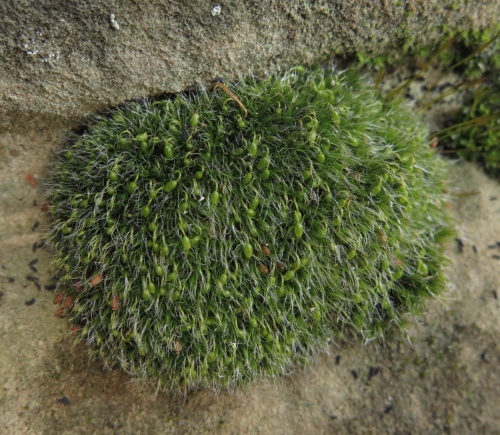 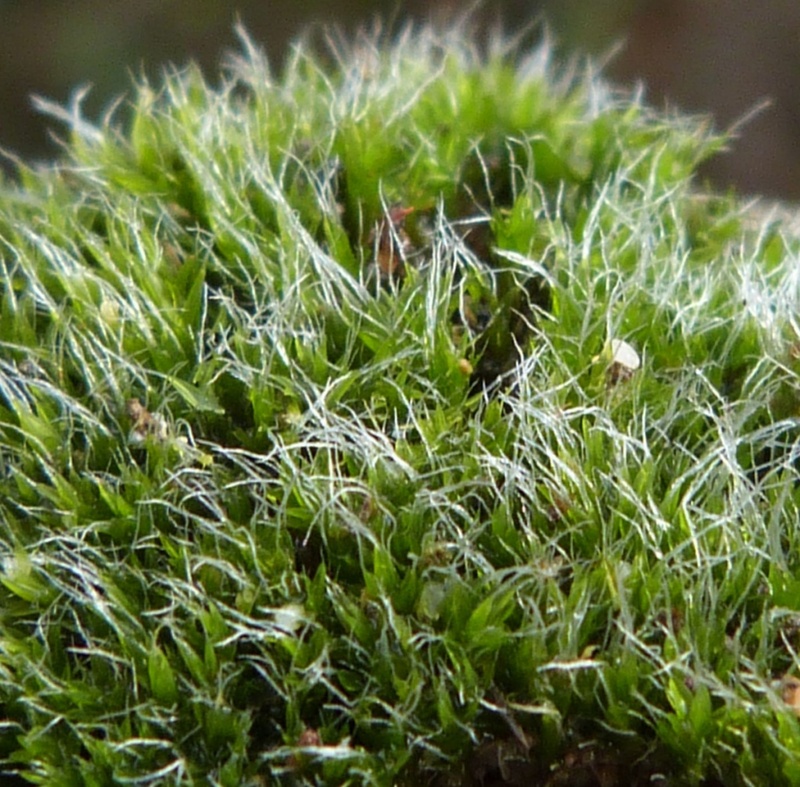 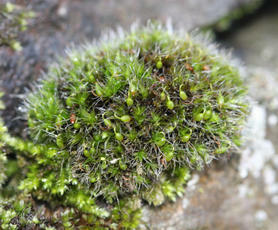 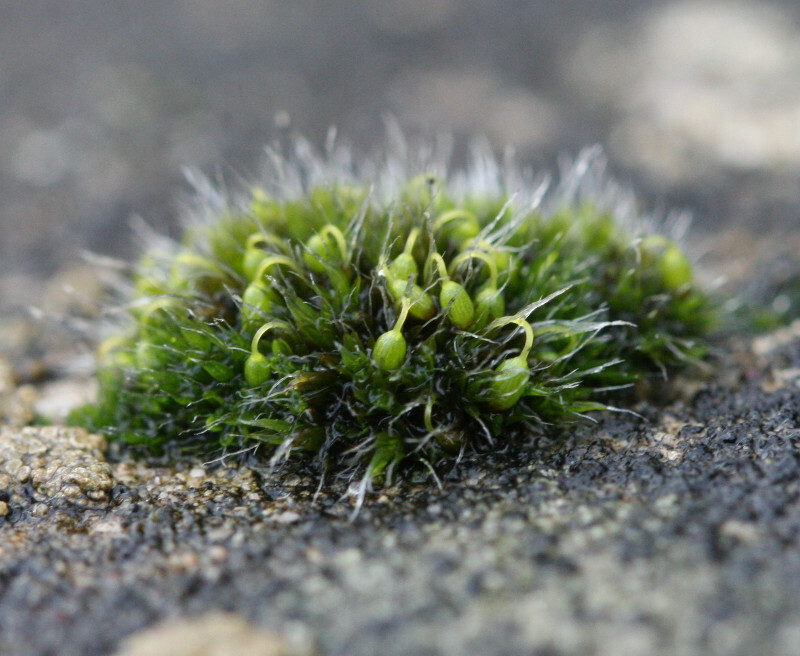 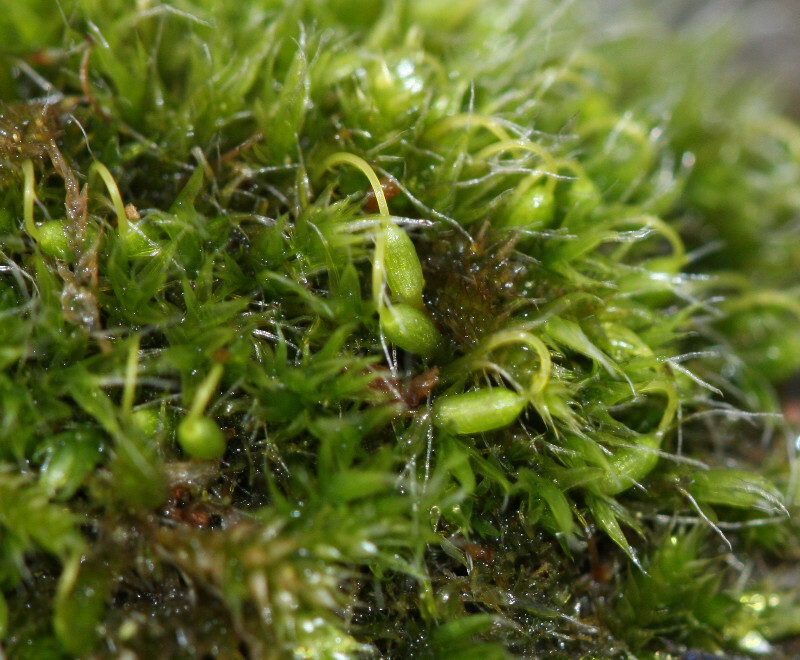 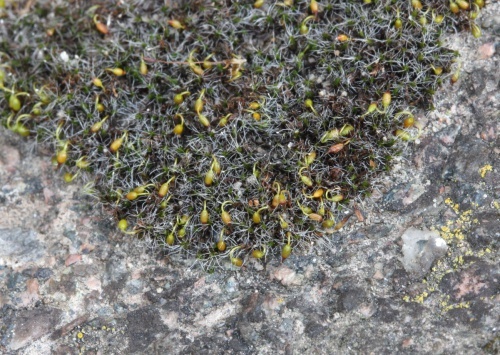 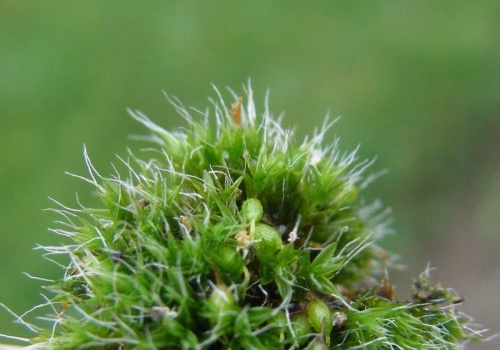 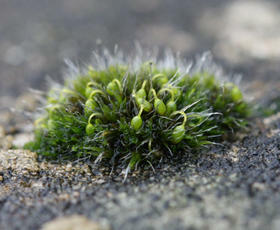 This is the commonest British Grimmia, and forms round, almost furry, grey cushions about 1 to 2 cm tall. 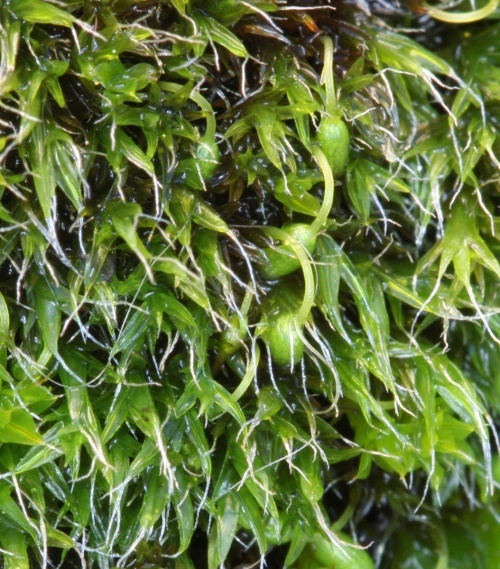 The narrow leaves are 3 to 4 mm long, nerved to the tip, with recurved margins. An important character is the leaf tip, which is abruptly contracted into a long hair point, which may be almost as long as the leaf blade. 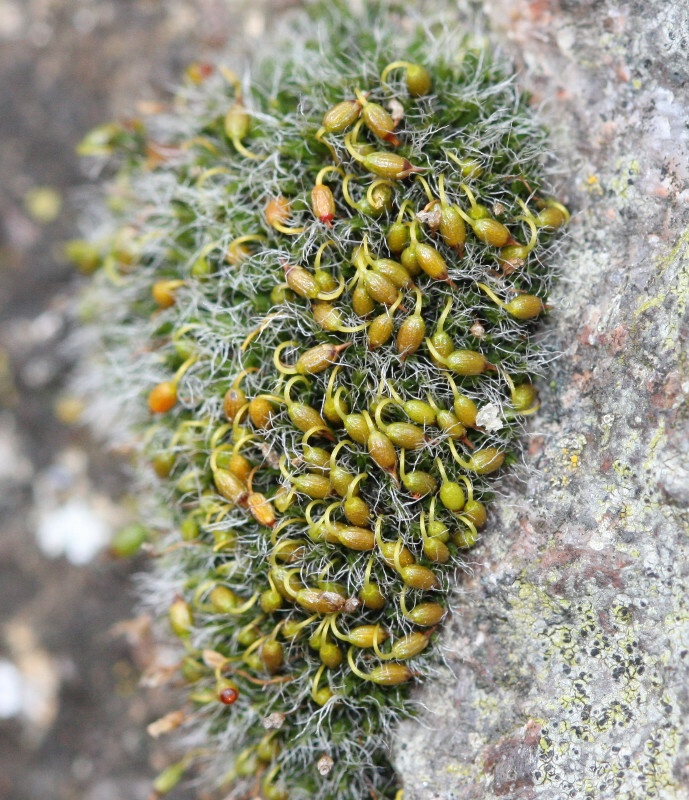 Oval capsules usually abound, bending back into the cushion on an arching seta (note, however, that when old and dry, the seta straightens and the capsule is held erect); the lid of the capsule has a long beak. 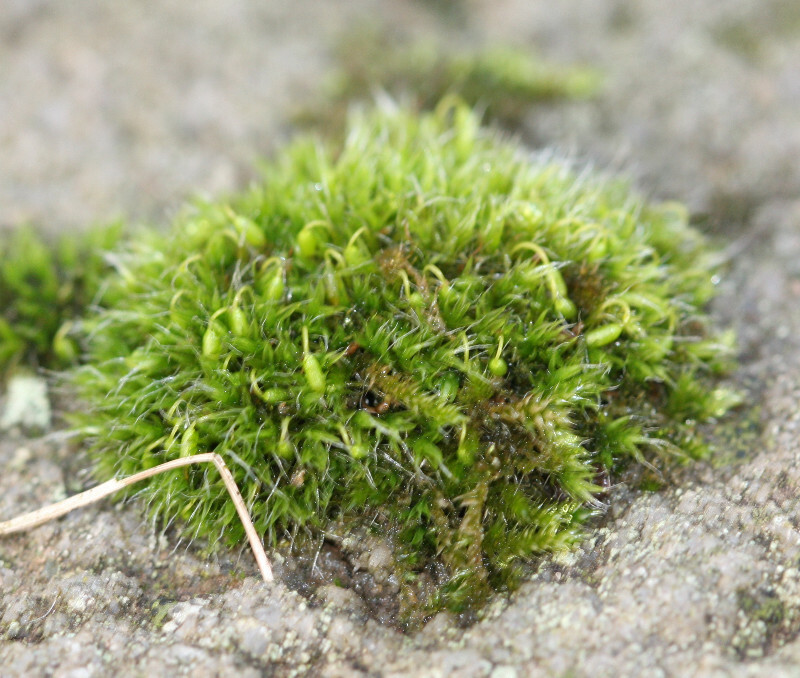 In moist conditions, cushions appear dark green, the densely arranged leaves spread away from the stem and the hair points are only moderately conspicuous. 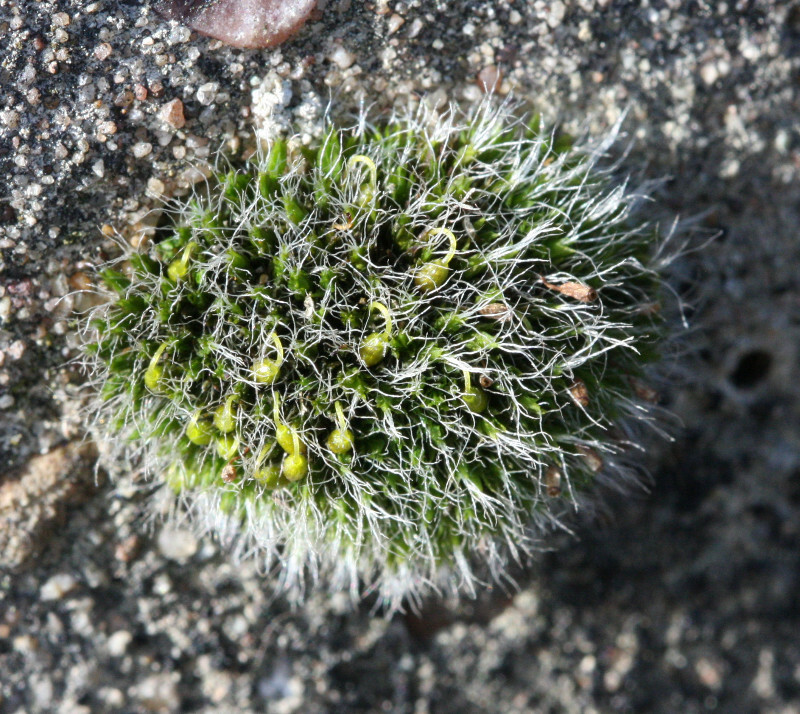 When dry, the leaves fold together, with the result that the long, silvery hair points loosely entwine and are then particularly eye-catching. 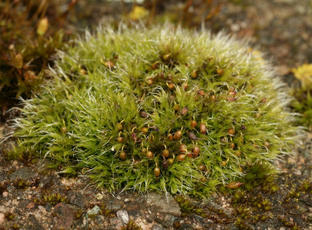 G. pulvinata is a predominantly lowland species favouring base-rich rocks, including walls and very rarely growing on trees and shrubs. It tolerates moderate pollution, so is a characteristic urban and suburban species, growing on wall tops, mortar, tombstones, asbestos roofs and concrete, and is a typical member of the wall community. 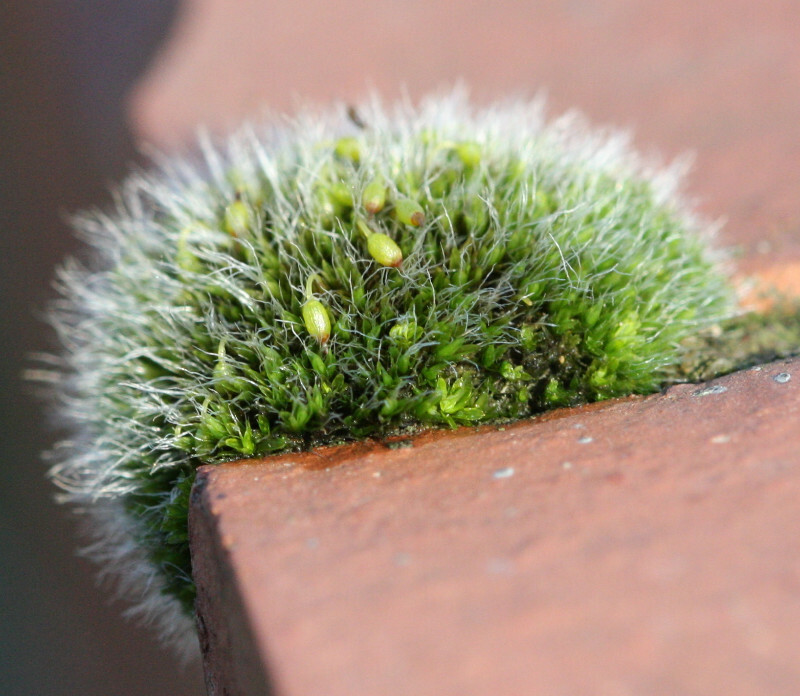 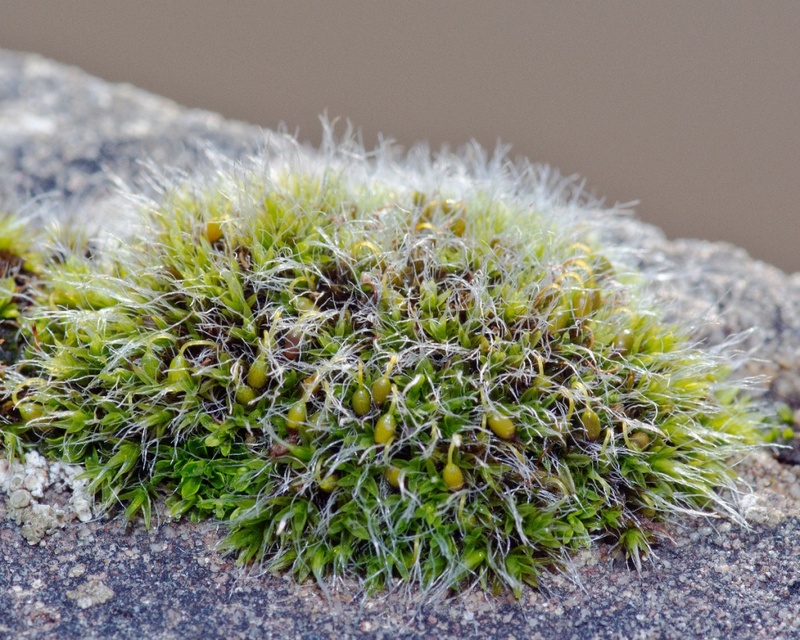 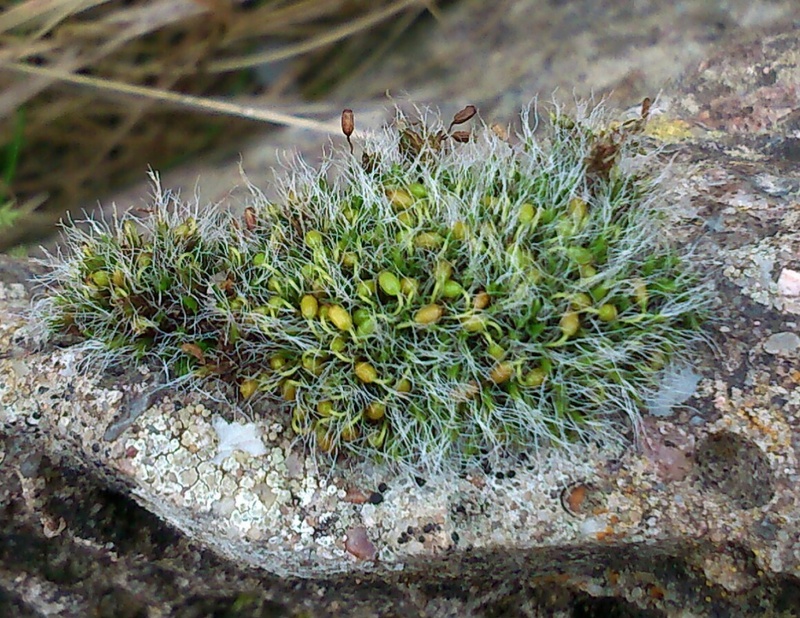 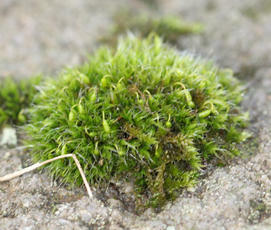 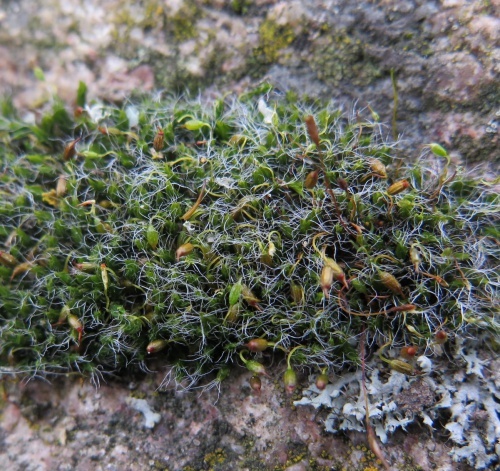 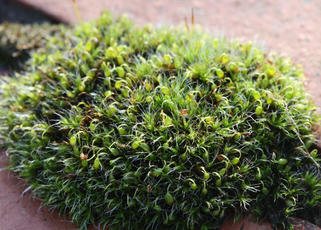 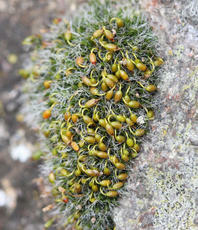 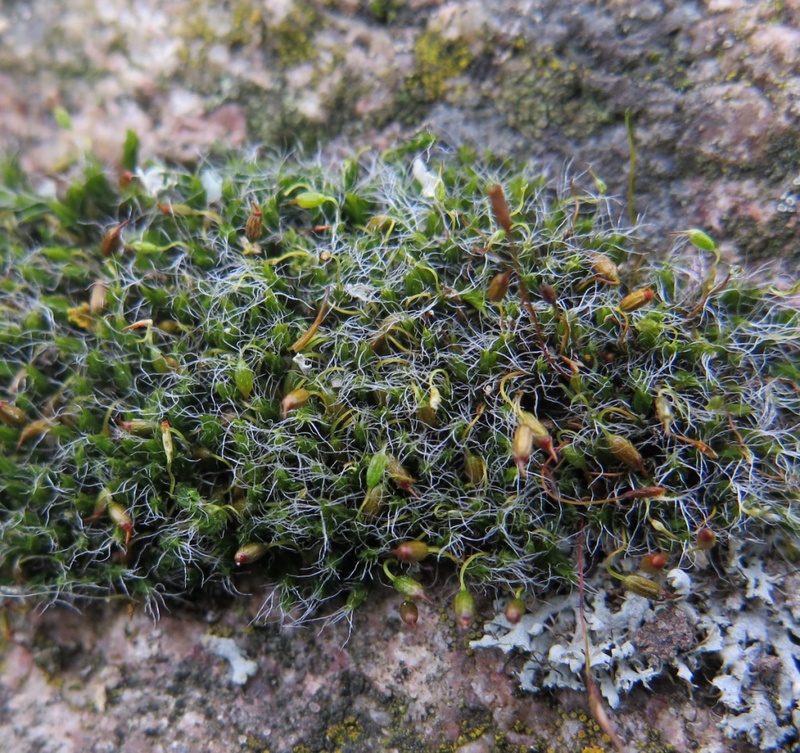 The neat cushions on wall tops have earned it the alternative common name of 'Hedgehog Moss'.